What's in the Easter basket? A funny activity for little ones to practise the Easter symbols. 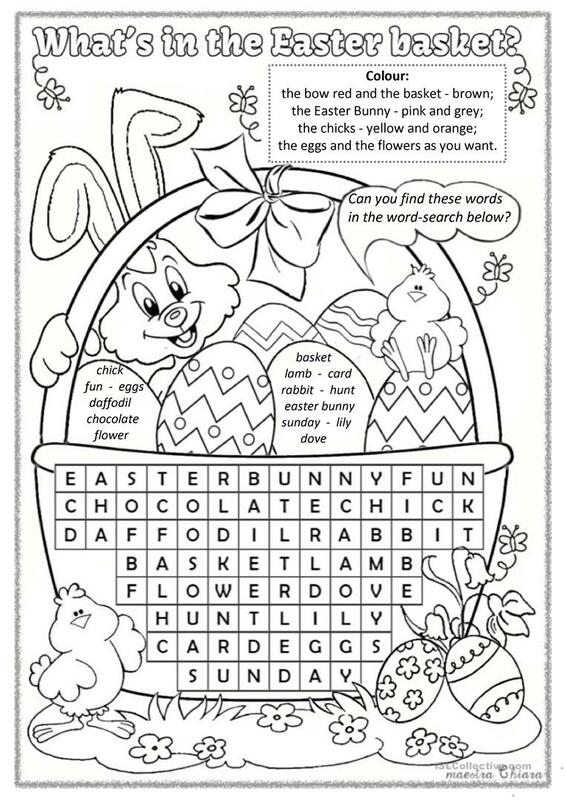 They have to find fifteen words in the word-search, then they colour the picture. I hope you find it useful! The above downloadable printable is best suited for elementary school students and students with special educational needs, learning difficulties, e.g. dyslexia at Beginner (pre-A1) and Elementary (A1) level. It is excellent for enhancing your pupils' Reading skills. It is about the topic and words of Easter.